That was the most exciting moment this month!! First time to watch Rugby match at stadium! I can’t explain enough how excited! 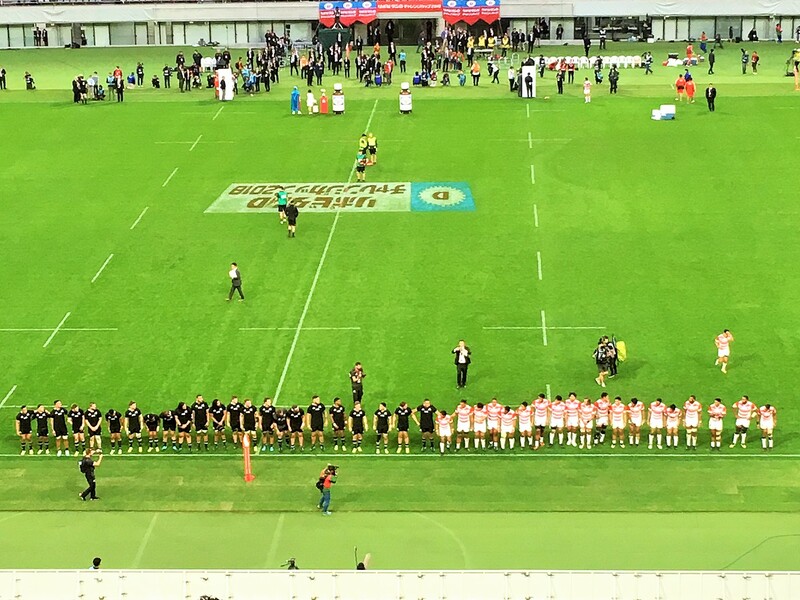 Unfortunately Japan lost the game to New Zealand by 69-31. 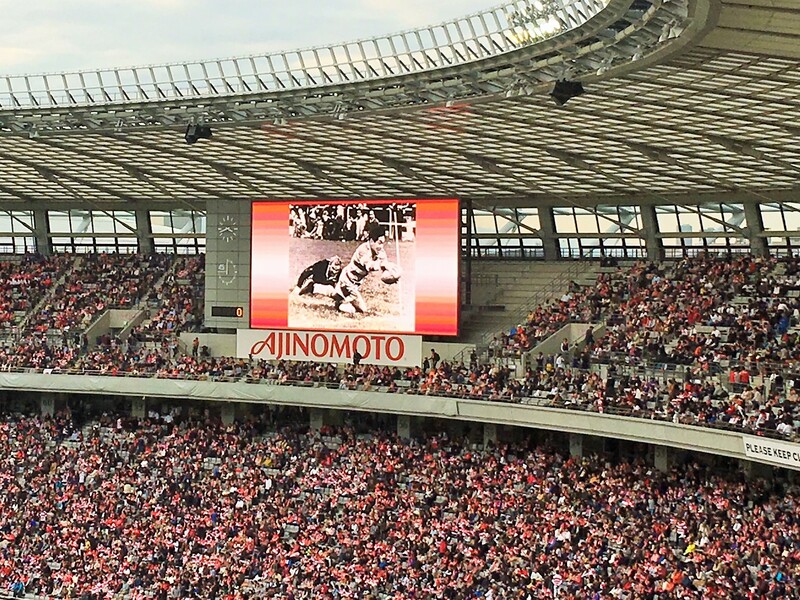 However Japan scored 5 tries from New Zealnd, it’s the highest ever! I need to learn more about the rugby, rules, players…etc. 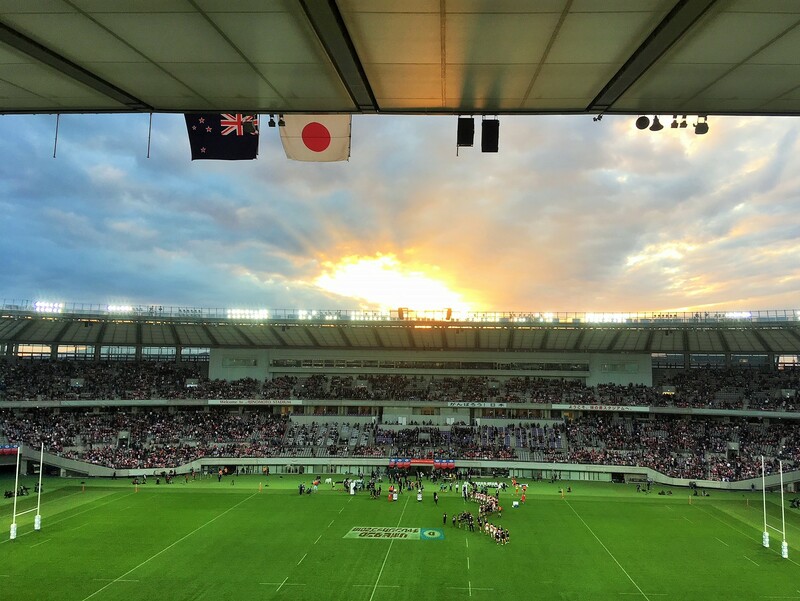 We have 2019 Rugby World Cup Japan next September! By the way, I heard that the hotel that All Blacks are staying is near our office. After that I saw some big big big tall men around Shimbashi pubs street (our nearest station is Shimbashi) and I was about to say hi! It was another exciting moment! !